Ladies and gentlemen, we’ve found a winner! A few weeks ago, the Coen Brothers released a trailer for their upcoming drama, Inside Llewyn Davis, but at the time the movie had no official distributor. Fear not fellow fans for today brings good news. With a price close to $4 million, CBS Films have acquired the rights to the loose screen adaptation of Dave Van Ronk’s The Mayor of MacDougal Street starring Oscar Isaac, Carey Mulligan, John Goodman, Garett Hedlund, Justin Timberlake and F. Murray Abraham. Set in the ’60’s, the movie showcases Oscar Isaac’s titular character as a folk musician trying to jump start his career while traveling through New York City’s Greenwich Village. 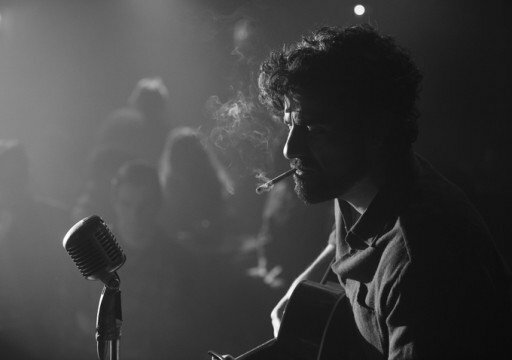 Inside Llewyn Davis wooed the audience when it was initially screened on the Sony lot last week and after a bidding match, CBS Films took the prize home. In the past, CBS Films has distributed movies such as The Woman in Black, Salmon Fishing in the Yemen, The Words and last year’s black comedy, Seven Psychopaths. Granted some of their previous projects have been quite rocky, like The Back Up Plan, Beastly and The Words but I believe Inside Llewyn Davis is a big score for the company, especially given the lush cinematography and the strong performances the trailer displays. With Scott Rudin as the producer and the financial support of StudioCanal, the Coen Brothers made Inside Llewyn Davis without a domestic distributor but now they’ve got the backing of CBS Films. Additionally, the filmmakers are quite familiar with the company, as they penned the script for last year’s Gambit, which CBS distributed. A release date hasn’t been confirmed for the anticipated drama yet, but with an official distributor, I’m sure a date will be set soon. But while we wait patiently for the Coens to dazzle us in theaters, check out the beautiful trailer below and let us know what you think.